This week I was busy sewing samples and making up kits for the Half & Half Apron project sheet (instructions by Karen Montgomery of The Quilt Company). I’ve got to say I LOVE this little apron pattern/project. It works up so easily and so quickly and the results are fantastic. All the seams are finished and quite professional looking. The pocket is fantastic–though it blends in with the apron body so you need to look closely. 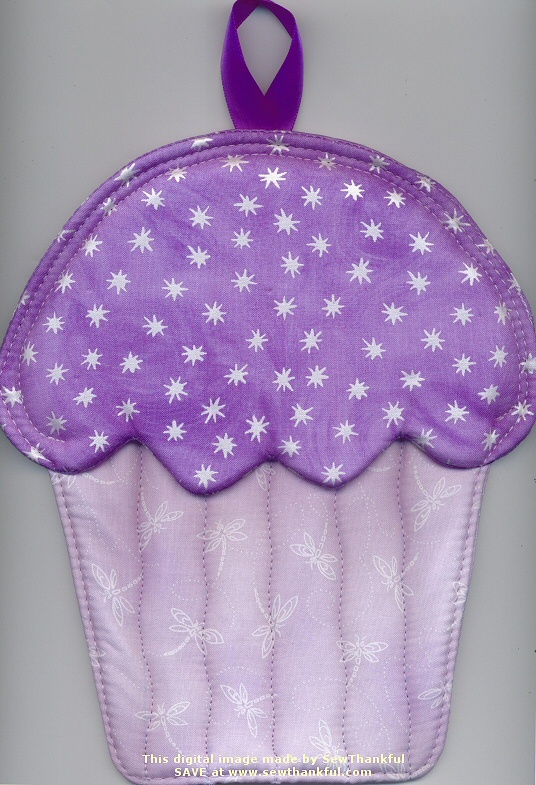 You could add lovely monogramming or other cool embroidery to the pocket very easily before stitching on the apron. 1. The Half & Half Apron project sheet is very well thought out, nicely illustrated and very easy to follow step-by-step. 2. Unfortunately, there is no specified seam allowance on this project. 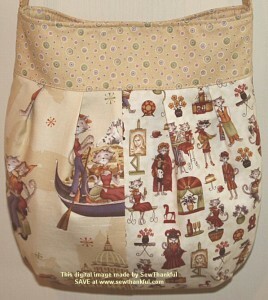 I used a 1/4″ seam allowance throughout and it worked perfectly. The only place that might require a slightly deeper seam allowance is at the waistband since gathers are used and it may be tricky for beginners to deal with “gathering lines of stitching” that close to the fabric edge and stay within a 1/4″ total seam allowance. 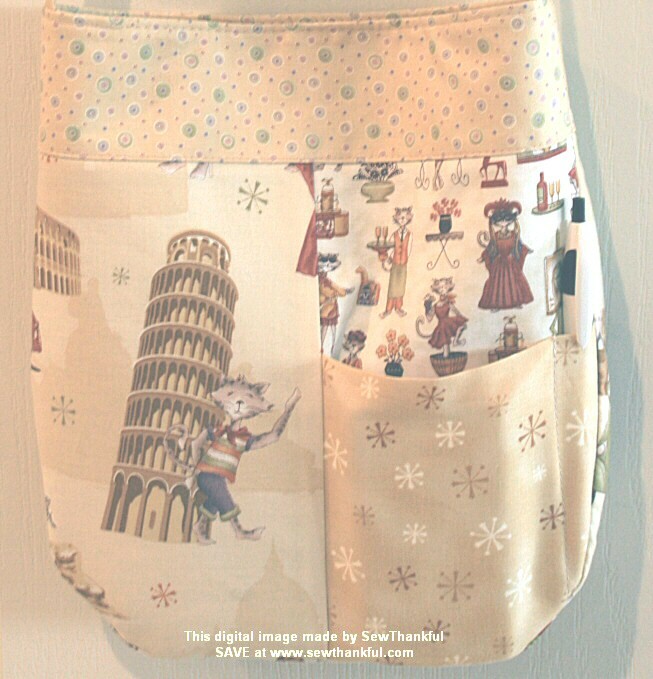 If you need to go a wee bit deeper than 1/4″ when sewing on the waistband, the project will still come out very nice. 3. For those who do not know how to do “gathers” there is no instruction on how to perform that technique. There is one illustration that gives you some clues. Here is how I prepared my gathers: I make two parallel lines of long machine basting stitches very close to the edge of the fabric. On one end of the lines of stitching, I find the bottom thread tails for each line of stitching and pull gently. 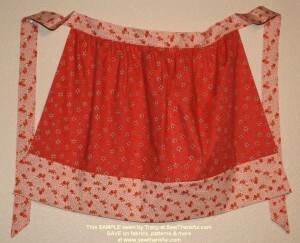 This creates a ruffling effect and you can slide the fabric gently to spread the gathers evenly to the center of the apron. Repeat on the other side until gathered fabric is even across the project and project dimensions are correct. 4. 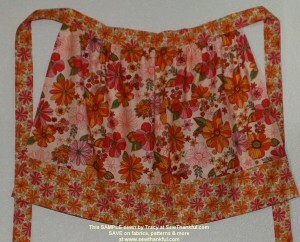 After I finished the apron instructions, I added top stitching to the waistband and ties — all the way around. 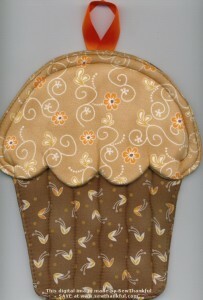 You could use decorative top stitching for an even fancier result. The reason I added the stitching to the waistband and ties is that I know it will help keep the ties flat when I wash the apron in the future. Without stitching, the ties are likely to “tube up” and twist in the washer and dryer making it more difficult to press flat. Top stitching also adds more durability and a nicer overall finish to the ties. 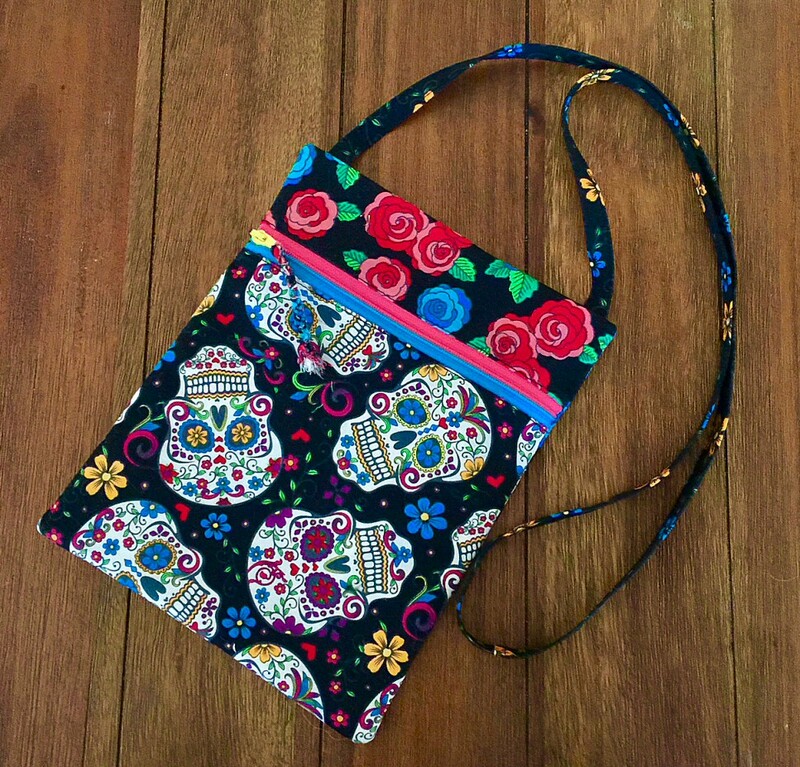 These kits make gift making go sew much faster! 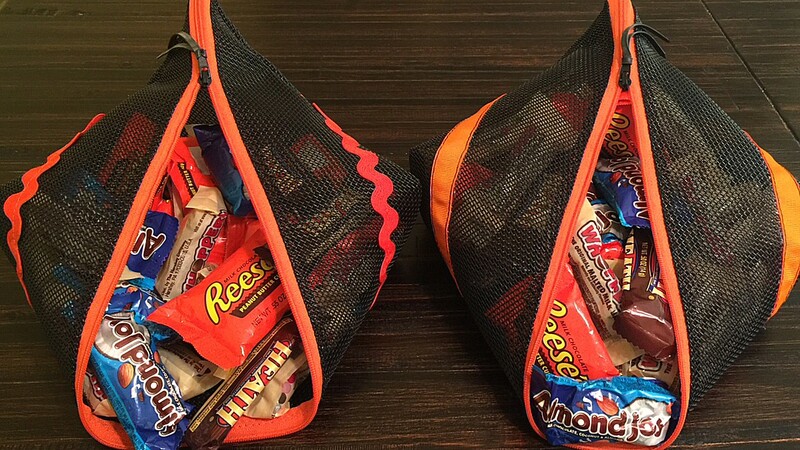 And…once you’ve made one, I bet you’ll be burning through your stash whipping up even more great combinations. 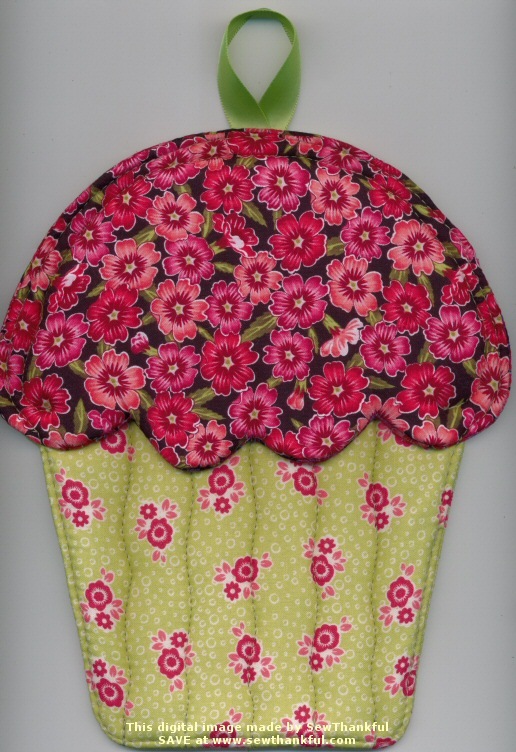 Kits also make FANTASTIC gift giving ideas for fellow quilters or sewing enthusiasts…since this particular kit includes the fabric and the project sheet of instructions, all the recipient needs to get started are rotary cutting supplies, thread and a sewing machine. What quilter doesn’t already have an ample supply of those tools? 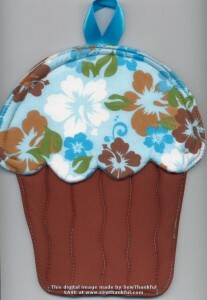 Making Cupcakes…Oven Mitts, that is! Check out these adorable cupcake oven mitts I made using the Susie C. Shore pattern Hot Cakes! pattern. What a FUN pattern and unique gift making project. For those interested, a limited number of fabric kits are available. I did make a few minor changes/deviations from the pattern. When trimming (after stitching the shapes as directed by the pattern), I clipped a larger than specified seam allowance around the “turning opening” only. After I finished trimming (but before turning), I pressed the seam allowances at the “turning opening” open. I allowed the seam allowance to cool completely and then I turned the shapes right side out and stitched the opening shut approximately 1/8th inch from the edge. The pattern does not say to do this as far as I can tell. I imagine that is because the openings will get stitched shut by the topstitching at the very end. However, I prefer to have the openings stitched shut before doing the topstitching thereby eliminating the possibility that bulkiness in the seams might cause the fabrics to slide and not catch all the layers in the opening. Instead of quilting straight lines on the base layer, I quilted freehand wavy lines. I just like the whimsical look of wavy lines much better than straight lines. For me, that takes the ‘perfection’ factor out of the equation and multiplies it by fun². Seriously though, these go together very quickly and they are so cute. You can bet I’ll be making several sets for holiday gifts this year. 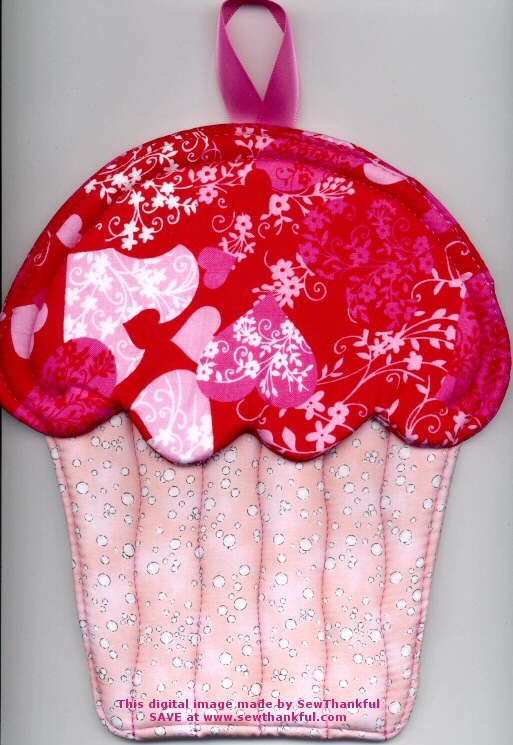 This pattern is at the top of my go-to list for gift making. I love having extra items made up for those situations where you want/need a fast hostess gift, etc. Sew cute! Sew fun! And so useful in the kitchen. 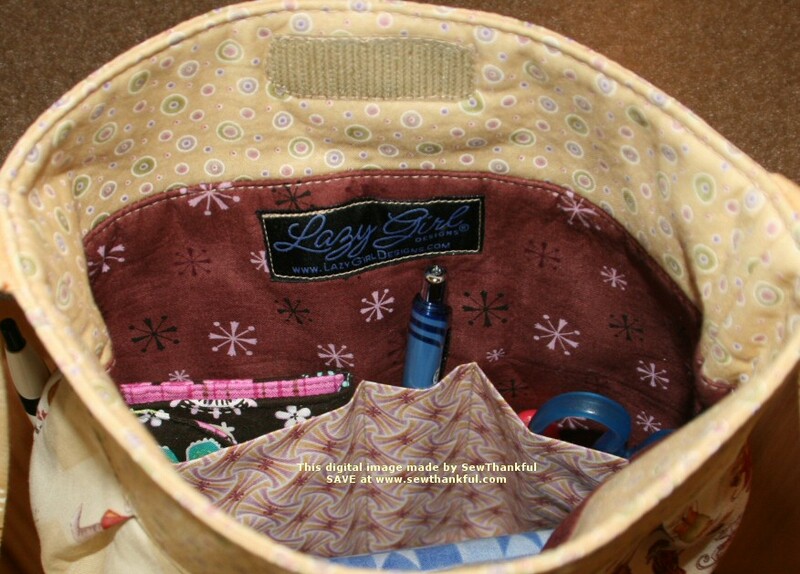 Yesterday I finished sewing my first Lazy Girl Lily Pocket Purse. I just love this sweet girl. She went together very nicely with no construction problems whatsoever! Once again, Joan Hawley has outdone herself and served all her Lazy fans a special treat. Lily makes a fantastic wardrobe accessory and she’s so easy to make, you’ll want to have several. I LOVE, love, love the long strap that I chose (you might want to choose a shorter strap) because I like wearing my purse across the body so my hands can remain free. I was hurrying to take pics this morning and had difficulty with lighting (not enough natural light available yet). 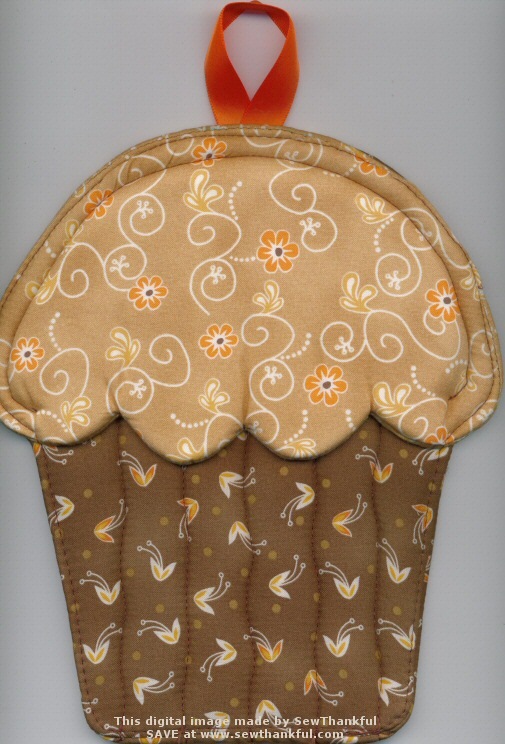 The fabrics do have a golden glow feeling, but not quite as golden as some of the pics may appear. Full view of Lily and her long strap. Lily is 'open' here -- notice the velcro closure on the inner top band. Close up of Lily's front side. Close up view of Lily's back side. My cell phone is tucked in the small exterior pocket and my pen is ready to grab whenever I need it. The fabrics I used to make this Lily were from the Benartex Cats Amore line .